The National Drug Helpline offers 24/7 drug and alcohol help to those struggling with addiction. 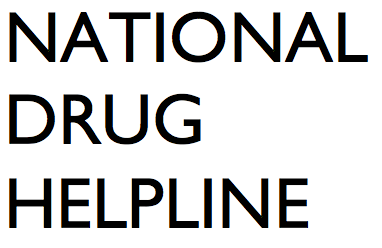 Call the national hotline for drug abuse today to receive information regarding treatment and recovery. According to the latest information collected by the Substance Abuse and Mental Health Services Administration (SAMHSA) in the National Survey on Drug Use and Health (NSDUH), about 30.5 million Americans aged 12 or older were using illicit drugs in the last month. This equates to roughly 11.2 percent of people aged 12 or older. Of those who admitted to have used illicit drugs in the last month, approximately 26 million people used marijuana, 3.2 million people abused prescription pain relievers and 2.2 million people used cocaine. A majority of those surveyed used drugs recreationally or for non-medical reasons, but many others used them because they were dependent on the substance or were struggling with addiction. When substance abuse begins to take over your life, the best course of action is to seek help. If you are worried about your drug use or that of a loved one, we can help you make the change. Call the National Drug Helpline now to take the first step. Many people from different walks of life can struggle with addiction regardless of whether or not these risk factors are prevalent in their lives. Addiction does not discriminate. Calling a substance abuse hotline for yourself or for a loved one can be a difficult decision to make. It’s not always easy admitting that you or a loved one is struggling with an addiction. Just know that addiction can happen to anyone at any point in life. Some substances have a risk of being addictive, including commonly prescribed medications and painkillers. The opiate and opioid epidemic our nation is facing is due in part to the medications and painkillers that are being prescribed to everyday people. Also, substances such as alcohol are legal and are constantly marketed to adults. Alcohol is commonly abused due to the easy access and the lack of stigma around binge drinking and partaking in social events such as happy hours. Alcohol may be the most difficult substance addiction to diagnose due to the close ties it has to social events. Alcoholism is actually very common and over consumption could have serious adverse effects on health. If you feel that you or someone may be struggling with addiction, call our substance abuse hotline. Drug and alcohol addictions can affect your personal relationships and make it difficult to focus on work or school. Many people have their health, finances, relationships, careers and lives turned upside down by drug addiction. This is why a drug help hotline is such an important resource. If you or a loved one is struggling with substance abuse, it may be time to get help from a drug recovery program. Calling a national drugs helpline, such as ours, is a great way to start your recovery journey. If you aren’t ready to call, you can check out some of the free resources found on the CDC’s website. We understand that this is a difficult decision. You may have never thought that you would be calling a drug hotline, but it may be the best decision you can possibly make. A simple phone call can change a life. Our drug addiction hotline is staffed with friendly and understanding people who are here to help. We are here to talk you through anything you may be struggling with. Your call is anonymous and if you are ready to seek treatment for yourself or for a loved one, we can help you to navigate your options. We take in calls from across the nation and are dedicated to helpline anyone who may need some guidance. Addiction is difficult to beat single handedly. Give us a call today and let’s get through this together. Addictions can be beaten. start your recovery journey with a call. When drugs are used over periods of time, the brain changes in response to prolonged exposure to those drugs. Cravings tend to get stronger and withdrawals tend to get worse. This physiological reality makes quitting very difficult for anyone. Thanks to modern day drug and alcohol treatment, there is no reason to go through the recovery process alone. These programs provide people with the support that they need to rehabilitate and can be easily accessed with a call to a drug support hotline or a national drug rehab hotline, such as ours. 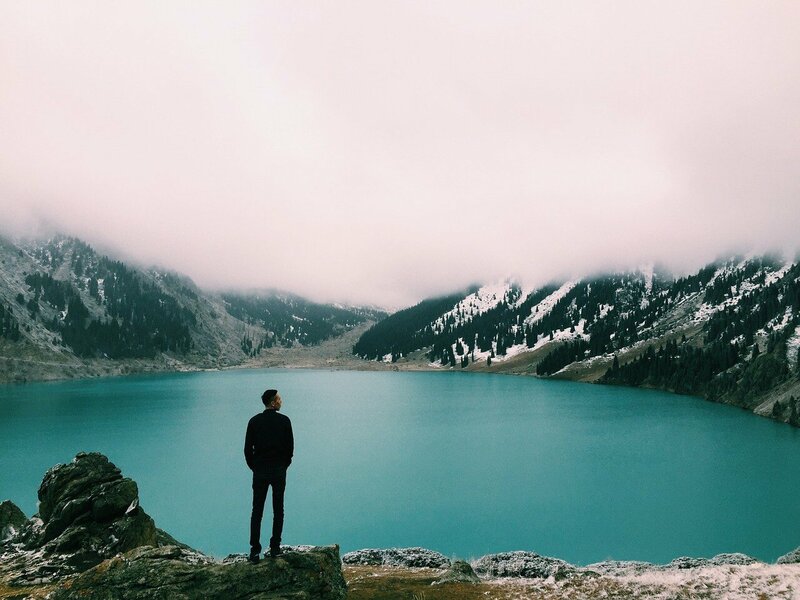 Many people think that they have to reach rock bottom before they seek help. This is a common and dangerous misconception. The truth is that it is never too soon to get help. The earlier substance abusers realize they may have a problem, the better the chances of success. As time goes on, continued substance abuse may make recovery a much longer and much more difficult process. Ultimately, prevention is the best solution to addiction, but for those who are currently struggling, we are here to help. If drugs or alcohol are causing problems in your life, or the life of a loved one, the time to get help is now. If you are concerned about the drug or alcohol use of a friend or family member, there is no reason to wait until their problem gets worse. The first step may be to call our national drug abuse hotline. Drug abuse is more common than you may think, so don’t feel like you are alone. Thousands of people across the nation struggle with drug abuse everyday. So much so that there are major government organizations, such as NIDA, dedicated to drug abuse within our nation. We are here to help. If you want to discuss treatment options, talk about how to approach someone you love that may be struggling with addiction, talk about rehab costs and paying, or just want to talk; then give us a call today. Our drug abuse hotline number is free to call, anonymous and confidential. The journey toward recovery can start today with a simple phone call. Our phone number is found across our site, so feel free to call whenever you are ready. Making the call can be tough. Whether the call is for you or for a loved one, we understand that it can be one of the hardest moments of your life. We are here to talk you through your options. Whether this is your first time calling an addiction hotline, or you have gone down this path before, we are here to help. Addiction is a disease that can affect any type of person in any walk in life. Just know that you are not alone and there are others out there that are struggling with addiction as well. The stigma associated with addiction may make it difficult to talk to friends and family about substance abuse, but our addiction helpline is here so you can talk to someone. Calling and talking is a great first step to recovery. There are 0 commitments when calling. Sometimes it’s good to hear yourself talk about the substance abuse struggles that you or a loved one may be facing to help organize your thoughts and feelings. Our national addiction hotline is here to take your call. There are multiple options for alcohol and drug recovery. You can find treatment programs that address specific drugs, programs that are tailored to people of different genders, programs that are faith based and many others. The diversity of treatment options available means that you can find one that fits your exact needs. If you would like to speak to someone to help better understand your options, you can call a drug rehab helpline or a drug treatment hotline, such as ours. There are two primary options when it comes to recovery, an inpatient recovery program or an outpatient recovery program. If you decide to be admitted into an outpatient recovery program, you can simultaneously attend counseling, therapy and treatment while continuing to live your life at home. 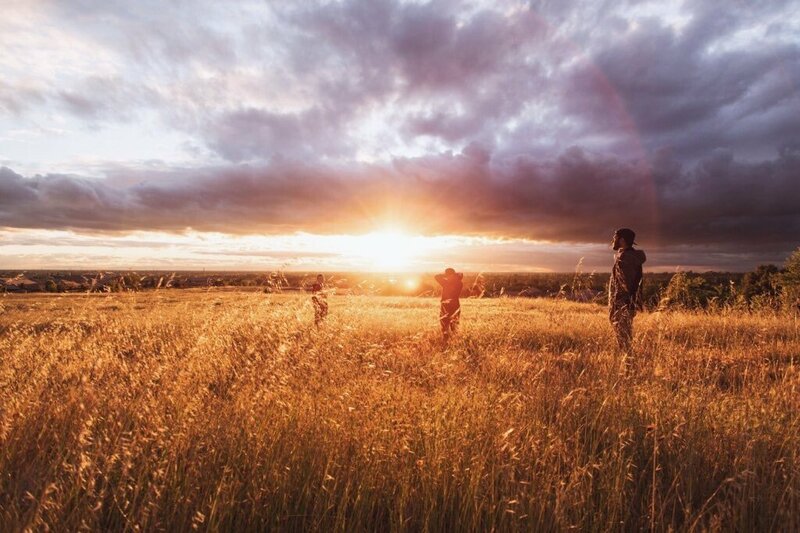 If you decide to be admitted into an inpatient program, you will have the opportunity to step away from life for a little bit, so that you can fully focus on your addiction recovery. We understand that this choice is a difficult one, but we are here to help. You can call our addiction recovery hotline to discuss the differences between inpatient and outpatient recovery. If you have already made a decision about inpatient or outpatient rehab, but are looking for a program or facility that treats a certain type of addiction, we have a solution for you. The National Drug Helpline offers the following national addiction hotline numbers for those who may be struggling. Although alcohol is commonly consumed and used in social situations, it can be very addictive. Alcohol is very difficult to avoid considering wine is enjoyed with meals, champagne is used to celebrate special occasions and beer is usually around when watching the big game with friends. Thousands of people across the nation struggle with alcoholism, but they may not know it. If you or a loved one is consuming an excessive amount of alcohol, is using alcohol to self medicate or just feels dependent on it is some way; please call our national alcohol helpline. We can talk about the signs and symptoms of alcoholism to help determine if treatment is an option that may need to be considered. Our alcohol hotline can help you to organize your thoughts regarding this difficult to discuss matter. Our alcoholic helpline is here to find the right solution for you or for your loved one. Cocaine is an illicit drug that can have serious long term effects on your health. Cocaine use may be difficult to talk about to friends and families due to its use being illegal. This doesn’t mean you can’t call our national cocaine hotline to get help. Our cocaine addiction helpline ensures that your information is kept private. We understand that even the smallest amount of cocaine use can lead to addiction, which is why we are here to get you the help you want. Call our cocaine addiction hotline today to speak to someone who cares and who understands the difficulties of addiction. Ecstasy use is often synonymous with the “party scene”. Although, not very physically addictive, the sense of euphoria can become addicting to the point that you feel like you need ecstasy to feel good. The comedowns are dangerous and can lead to deep levels of depression. If you or a loved one feels like ecstasy use may be affecting your life, give us a call on our dedicated ecstasy helpline. Speak to someone that can help talk you through your experiences and help you to better determine if treatment is required. Our ecstasy hotline phone number is staffed day and night to ensure that help is available when you need it. Heroin is an illicit drug and is very dangerous. Not only is it extremely addictive, but it can heavily impact your health. Heroin use can kill you, which is why anyone who is struggling with heroin addiction should call our heroin helpline. Our heroin hotline phone number is staffed with friendly advisors who are here to help you or a loved one battle this highly addictive substance. Our national heroin hotline is anonymous and can be called at anytime. Calling our heroin addiction hotline can save a life, so don’t wait any longer to take a step in the right direction. There are many heroin hotline numbers on the web, but the National Drug Helpline is the one to call if you need to talk to anyone about heroin use. Marijuana is becoming more and more prevalent in our society as the years go on. Countries across the world are beginning to legalize its use and multiple states across the nation have already legalized its use. CBD is becoming commonplace in consumer products and cannabis companies are beginning to arise. Although the use of marijuana and its effects on the human body are widely debated, the fact remains that it is abused across the world. Although, not physically addictive, the “high” associated with marijuana use can be very behaviorally addictive. Marijuana use makes people feel good, to the point that constant use may seem necessary to cope with life’s everyday situations. If this sounds like you or a loved one, give us a call on our marijuana helpline. Our marijuana hotline is here for anyone who thinks they might smoke a little too much weed. Meth is another very addictive and controlled substance that is commonly misused. Meth, also known as methamphetamine, is actually found in many prescription drugs and medications. Although the stigma of “meth heads” exists, most people suffering from methamphetamine addiction are people you wouldn’t expect. An addiction to methamphetamine could have been an accidental one, due to using a prescription outside of its intended purposes. If you feel that you or a loved one may be abusing methamphetamine, call our meth helpline. We can help you to determine if treatment is necessary. Call our meth hotline now to speak to a caring representative. Although methadone is often used to treat serious narcotic addictions, it can actually be addictive itself if abused. If you are struggling with methadone addiction, or have done your research and feel like you may need methadone to treat an addiction, call our methadone hotline. Although, we are not qualified to prescribe methadone to anyone, we can match you with a professional rehab facility that provides methadone treatment for addiction. Our nations biggest crisis that continues to grow every year, opiate addiction is becoming very common. Opiate addictions are so common due to powerful prescription drugs offered in our country. Something as commonplace as the removal of wisdom teeth can lead to the prescription of a very powerful and very addictive opiate based painkiller. Opiates are found in commonly prescribed painkillers and can end up in the hands of just about anyone. The stigma of opiate use and abuse is much lower due to the fact that these medications are prescribed to us by doctors that we trust. However, continued use or abuse of opiates can lead to very powerful and very deadly addictions. If you or a loved one is suffering from this type of an addiction, please call our opiate addiction hotline. Please do not wait to call since opiate abuse can be deadly. Dial the phone number to our opiate hotline and speak to someone today. Suboxone is another medication that can be used to treat narcotic addictions. Suboxone uses a combination of buprenorphine and naloxone to help treat addiction. Although it had good intentions, it can be abused. If you or a loved one needs help with suboxone abuse, or may be seeking the use of suboxone to treat an addiction, call our suboxone hotline now. Our suboxone hotline phone number is available to anyone who may have questions about the medication and its uses. Substance abuse comes in many forms as you may have seen from the list above, but we are here for you. We can talk about any substance that you or a loved one may be addicted to. We know it is difficult, but start recovery today. A simple phone call can change a life. Dial the number you see on our site to speak with someone who is here to help. Pick up the phone today and call our drug addiction hotline. We look forward to speaking with you!